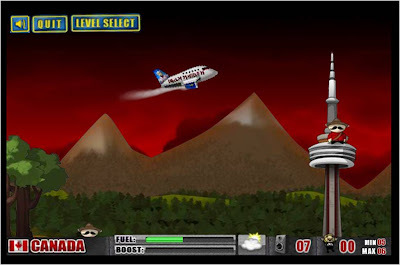 Iron Maiden have launched a multi-level Flight 666 game to support the release of their 'Flight 666' DVD at http://www.ironmaiden.com/games/flight666. 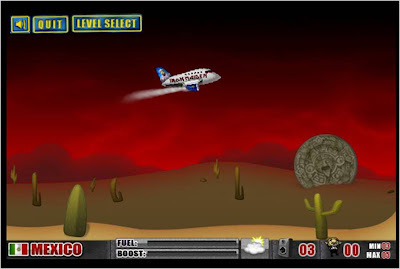 The Flight 666 game involves having to pilot the Iron Maiden plane through various landscapes whilst dropping speakers to convert game characters into Iron Maiden fans. 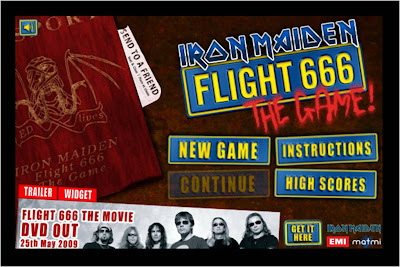 Think this is a nice way of promoting the Flight 666 DVD launch, though feel it would have been more engaging / have reached a wider range of people if the actual game could be embedded into social profiles as well as shared by email. 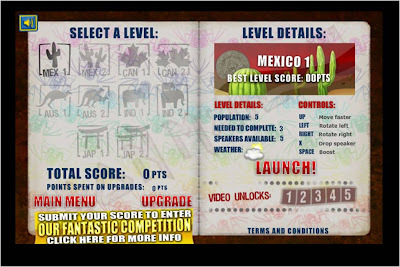 Hope they publish the user statistics at some point! never had you down as an Iron Maiden fan?? I really like seeing ageing bands use new technology to update themselves, Iron Maiden games, AC/DC spreadsheet videos etc + think it's interesting how childhood 'heroes' keep going. The new stuff may not be as good as Number Of The Beast but at least you can fly Bruce Dickinson's plane!